FACI is a single source, turnkey security and fire service provider. High-rise commercial offices and residential apartments. Call our Sales/Engineering Department at (856) 728-6424 today for additional information and assistance. The FACI Fire System Group provides fire system engineering and design that complies with current National Fire Protection Association (NFPA) code standards, local Authority Having Jurisdiction (AHJ) requirements and your unique insurance provisions. From CAD design and layout, to final installation and approval by fire authorities, our design team will work with your engineer, architect, contractor and end user. We’ll get the job done on time and under budget. As an EST Strategic Partner, we provide Premier Hospitals and Healthcare members EST products and services at pre-approved, discounted prices. 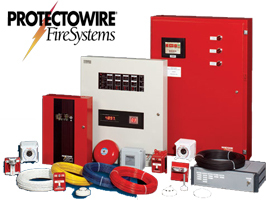 FACI is also the region’s representative and distributor of Protectowire special-hazard fire-detection systems. 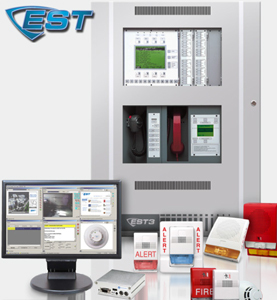 The same details go into our Protectowire Systems as our EST fire alarm products. With over 40 years of experience — and thousands of security systems in service today — FACI can meet all your security, fire, card access, and CCTV camera and video recording needs. We provide one-stop installation and service.